Packaging is critical for enhancing the functionality of products as well as winning over new consumers. Of late, smart and sustainable packaging trends have gathered pace owing to busy lifestyles and rising per capita disposable income of consumers across the globe. Recent innovations are demonstrating that both the packaging trends can coexist and grow harmoniously, says leading data and analytics company GlobalData. According to the company's global consumer survey in Q1 2017, half of consumers globally find the concept of interactive packaging 'exciting' or 'nice to have', while 8% even consider it to be 'essential'. Lia Neophytou, Consumer Markets Analyst at GlobalData, says: "Brands have been incorporating new technologies into packaging designs that can improve the user experience by, for example, sharing additional brand information, product information or by connecting with an online social media platform." Last year, Frito-Lays owned Tostitos launched a limited-edition 'Party Safe' bag with a sensor which could detect how much alcohol a user had consumed. The sensor would turn red and administer an Uber code for consumers who were over the limit to use to get home safely. However, embedding electronics into everyday packaging has recently raised serious questions about disposal, given the world's increased commitment toward sustainability. Last year, UK-based PragmatIC Printing addressed this issue with the launch of a range of smart labels without silicon to make it easier for these labels to be recycled. Neophytou adds: "There are also more simple steps that brands can take to ensure that their smart packaging designs do align with the sustainable packaging trend. 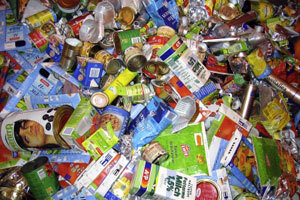 For example, communicating closely with recycling bodies during the developing stages can ensure from the outset that smart packaging is fit to be recycled." Recycling return schemes and other programs, which reward the consumer for properly disposing of packaging waste, are also other options. Neophytou concludes: "In future, it is important that brands recognize both trends and ensure that their packaging designs do not isolate consumers, who consider recyclability an important consideration in their purchasing decisions. Doing so will also set a new standard for smart packaging and it will encourage industry players operating in the same or adjacent fields to align their actions in the same way."